The professionals at Association Reconstruction have been in the HOA industry for many years. As community managers, restoration specialists, and members we truly understand the process that goes with a major capital improvement project within a homeowners association (HOA). It is this knowledge base that sets us apart from our competitors. Our broad background, at nearly every turn in the restoration process, helps us know how to communicate with board members as well as residents. We know the sticking points that keep projects from moving ahead and we understand why it is so important to stay on time and on budget with everything we do. With that being said, what is listed below are three “pillars” we truly believe separate us from other contractors when it comes to relations with HOAs. To make sure everyone is in-the-know regarding a large reconstruction project, we provide a community project blog on each of our projects. We have found this to be extremely helpful for board members, community managers and homeowners. Questions about the timeline are answered before community members come to those typically in-the-know. Everyone understands the process and knows the timeline. Establishes trust between the community members and Association Reconstruction. Updated several times each week and many times daily. We provide a storm damage monitoring service that will not only monitor storm activity near you, but will also be your one-stop shop to fix whatever part of your association that may have been damaged. Step 1 – You schedule a time for Association Reconstruction to physically inspect your property. Step 3 – A baseline of your property condition is established and insurance deductibles for the Association are reviewed. Based upon that information we will create a report for the Board of Directors. Step 4 – Your Association is added to our Monitoring Program. This means we stay current with any storm or weather conditions in your area that may adversely affect your property. 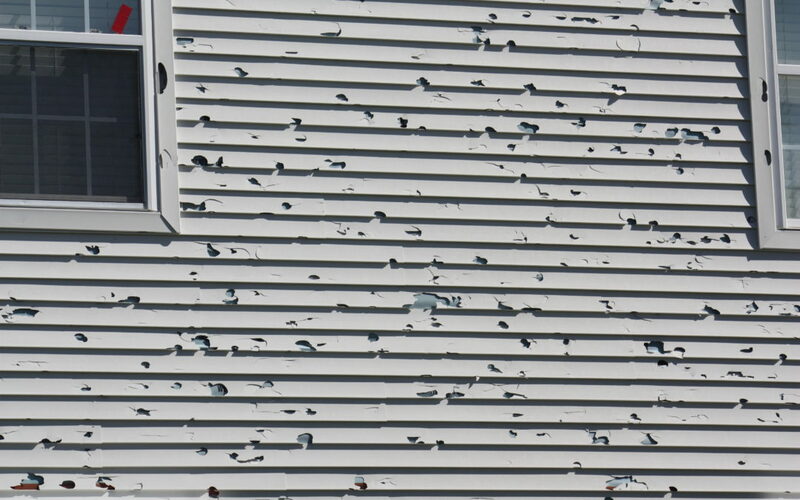 If such an event occurs, we quickly arrive onsite to inspect your property for damage. We have an emergency response team active 24/7 in case something happens. Whether that is early in the morning, during the day, or middle of the night we’re on call for you. Our flexible restoration crews will work with your homeowners association to first triage your buildings to ensure no further damage occurs. Once your building is secure, we work with your association board to create a plan to fix the damage. Because we are a one-stop place for storm damage repair, we make a board’s job much easier than if you tried to coordinate multiple contractors to fix multiple types of damage. We have many things to offer HOAs regarding storm damage, but the biggest one is peace of mind.